origin stabilised hylaluronic acid substance which occurs naturally in our skin and supports its structure and volume. Fillers applied by a fully trained medical practitioner are injected at strategic sites to support, fill and smooth these areas. Tonic offer a choice of three well known reputable brands of filler. This enables you as the client to have the most appropriate filler for your needs and achieve the best results. 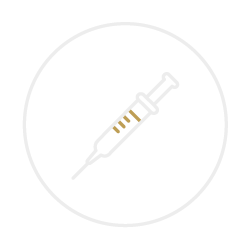 During your consultation you and your practitioner will discuss realistic expectations, the pros and cons of dermal fillers and which is the most suitable product for you. A simple injection with a very fine needle, applies the product in the dermis layer of the skin, replenishing the skin’s natural volume, enhancing lips, smoothing lines and wrinkles. The products Tonic use are all long standing reputable brands that have an excellent safety record. A full assessment is done prior to treatment to ensure you as a candidate are suitable for treatment and considerations are given to any current health and skin conditions. The products contain hyaluronic acid, a product the body already recognises so is unlikely to react to it. All procedures are done by a qualified medical practitioner trained in the use and application of these treatments. Occasionally there may be slight swelling, redness, itching or tenderness and this could last for a few days, the initial appearance may not reflect the final look as the skin will settle. Some localised bruising may appear but this is generally shortlived. This would depend on the area you have had treated as some areas are ‘worked’ more than others, with the high standard products we use it is not uncommon to see anything from 6 months to a year. The products are all non permanent and will gradually over time be re absorbed by the body’s own natural lymphatic system.